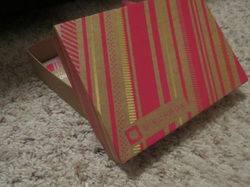 This first post is not necessarily one product I like, but a company/idea that contains multiple products: Birchbox. If you have not heard about Birchbox, it is a company that sends you samples of beauty products every month, for just $10 a month (For girls, guys’ boxes are $20 a month). I’ll admit, I have not actually yet subscribed to Birchbox, but I did receive a gift for a 3 month subscription. I have one more box left to receive, and I’m tempted to subscribe myself. I have enjoyed all the products I have received, and the full size of any of the products can also be purchased on the Birchbox website. For more information regarding Birchbox visit the site here. The reason I love Birchbox is 1. The samples I receive every month that I probably would have never heard of otherwise, 2. It’s a nice surprise in my mailbox every month and 3. It makes a great gift for both guys and girls. I will talk more about some of the products I have received in other posts, but below is an example of some of the things I have received in the two boxes.